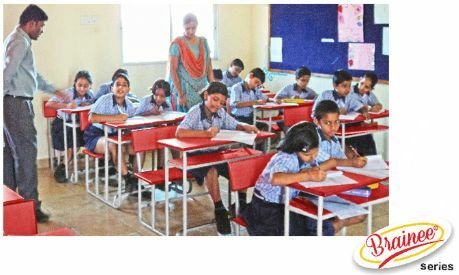 School & college benches for students are made from 25mm round pipe or 25mm x 25mm square pipe as per requirement from the customer; powder coated white colour, sturdy design for long use. 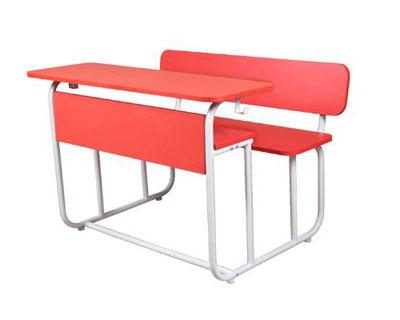 Bag hanger, angled back rest and strong shelves are provided in all benches. All the tops and shelves are made from 18mm prelaminated MDF board with rounded corners and PVC edge banding all around. Four plastic levelling shoes are provided.